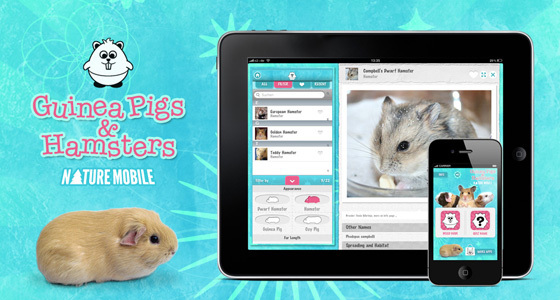 NATURE MOBILE: Ginny Pigs and Hamsters – is a stylish and easy-to-use BREED IDENTIFICATION GUIDE with an integrated QUIZ GAME. Read interesting information and learn facts about these fascinating, cute, little animals. Browse more than 250 pictures and listen to the most common sounds.